Renee E. Mura, S.C. specializes in all facets of Family Law in Wisconsin, including divorce law, child custody & placement, paternity, and much more. Our experienced attorneys participate in complex Family Law cases every day and provide highly skilled representation to all of our clients. Below you’ll find some of the areas of Family Law that Renee E. Mura, S.C. specializes in. The divorce attorneys at Renee E. Mura, S.C. are highly skilled in Wisconsin Divorce Law and will make sure every procedural requirement is met, while also advocating for your best outcome, both financially and emotionally. Additionally, the attorneys at Renee E. Mura, S.C. frequently deal with complex divorces involving business ownership. In a more complex divorce proceeding, the need for competent and experienced representation is key to effectively navigate the division of important, and often large, assets. Our lawyers’ extensive knowledge of business, finance, and taxes, enables them to skillfully address both the income and asset analysis that must be done in a divorce action. The child custody lawyers at Renee E. Mura S.C. are skilled in litigation of child custody, placement, visitation, and support cases. The experience, dedication, and integrity of the attorneys and staff at Renee E. Mura, S.C. makes them the best advocates for their clients in child custody and physical placement cases. Under Wisconsin law, courts start with the presumption that joint legal custody is in the best interests of the child, however, this presumption can be overcome. The attorneys at Renée E. Mura S.C. are experienced in litigating these types of disputes and understand how to use evaluations, brief writing, motion practice and experts, if necessary, to advocate for their clients and their minor children. In Wisconsin, children are entitled to periods of physical placement with both parents unless it is proven that a parent is a danger to the child’s physical, mental, or emotional wellbeing. Many factors are considered when determining the physical placement schedule. The family law attorneys and staff at Renée E. Mura, S.C. are committed to their clients and to ensuring that every effort is made to protect the best interests of the children at the heart of these disputes. Whether you are a father who wants to have custody or placement of your child, a mother who needs the father of your child to pay child support, or have other reasons for wanting fatherhood established, the Kenosha paternity lawyers at Renee E. Mura, S.C. can help. The attorneys at Renee E. Mura, S.C. are experienced in establishing paternity. Establishing paternity is important to protect the rights of all parties involved, including the mother, father, and child. The attorneys at Renée E. Mura, S.C. are experienced in both establishing paternity and disputing paternity establishments. Furthermore, the Family Law attorneys at our firm are not only knowledgeable in the process of establishing or contesting paternity, they are also highly skilled attorneys in both negotiating and litigating the issues of custody, placement and support which follow the establishment of paternity. After your divorce has been finalized, a court has the ability to make post-judgment modifications. A post-judgment modification can make changes to child placement schedules, child support, child custody, spousal maintenance (also known as alimony), and dependency exemptions. If you feel judgments made during your divorce, or initial custody and placement orders, are no longer fair or are no longer in the best interests of your child(ren), our Racine and Kenosha post-judgment attorneys will evaluate your case and fight for the results you and your family need. If a party violates an order set forth by the court involving child support, spousal support, placement or custody, there are legal remedies that can be used to force compliance and ensure future compliance such as contempt of court. The experienced and aggressive Wisconsin custody modification attorneys at Renée E. Mura, S.C. know how to use the legal remedies available, and how to craft those remedies to best suit the needs of their clients. Our firm represents parents who are seeking child support or who need representation on child support or other financial issues concerning their children. The statutes provide for a variety of calculations considering both placement time a parent has with their child or children and the parents’ respective incomes. Our firm has extensive experience in calculating these orders, as well as determining variable expenses, and which parent should be allowed to claim their child or children as a tax dependency exemption on their tax returns each year. Given the changing nature of the family and the increased role others are taking in the family, Guardianship actions are becoming an increasingly important way to protect children. Our guardianship attorneys understand the law in this area and will help you understand if a guardianship action is an option for you. Terminating a parent’s rights to their child is a complex legal process. The family law attorneys at Renée E. Mura, S.C. are able to assist you through this process. Our experienced attorneys are highly skilled in voluntary and involuntary termination of parental rights cases resulting in adoption. Our termination of parental rights and step-parent adoption lawyers are committed to ensuring the best results for our clients. The most common form of adoption in Wisconsin is step-parent adoption. If both of the child’s biological parents are still living, these cases must begin with a termination of one of the parent’s rights. The family law attorneys at Renée E. Mura, S.C. are highly skilled in this very challenging area of the law. Almost all contested family law cases are decided by a judge, not a jury. Termination of Parental Rights cases, or TPR’s, are the exception to this rule. While a judge will ultimately make the determination to terminate or not terminate the parent’s rights at the conclusion of a TPR action, a portion of the proceedings known as the grounds phase can be decided by a jury. Our accomplished lawyers are experienced in presenting cases to a jury. These skills are invaluable in this type of family law case, and very few family law attorneys have the experience and history of success that you will find at Renée E. Mura. S.C.
Our firm represents parents who have had their children removed from their care and been involved with the department of social services, as well as those person(s) who have placement of children that have been removed and are seeking a more permanent placement, guardianship, or termination of parental rights. Our firm has the knowledge and skill to represent our clients from the initial hearing through trial and disposition. If you’re in a situation where you think you need a restraining order from a spouse, ex-boyfriend, ex-girlfriend or anyone else, you are already scared and possibly hesitant to start the restraining order process or follow it through. Our family law attorneys will help you file for a restraining order, and will advocate for your interests in court. 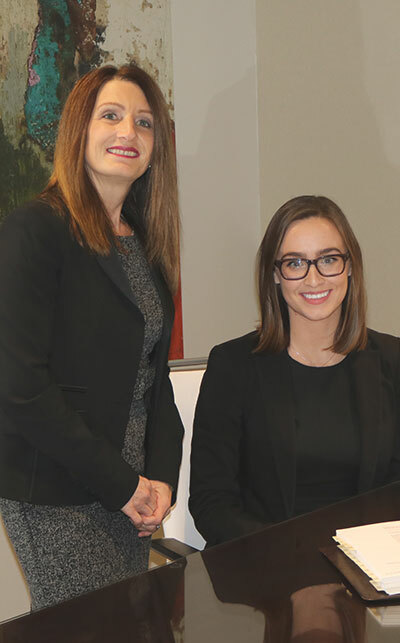 The highly skilled attorneys at Renee E. Mura, S.C. have experience in all types of restraining orders: Domestic Violence Restraining Orders, Harassment Injunctions, and Child Abuse Restraining Orders. Our skilled attorneys can provide the advice and representation necessary to protect your interests. The attorneys at Renée E. Mura, S.C. have handled numerous appeals in the family court realm. From child support issues to guardianship actions to divorce issues, our firm has aggressively fought for our clients from the trial court level all the way to the Wisconsin Supreme Court. Our firm has fought both to clarify the law and to correct erroneous decisions from trial court judges. In addition, our firm has represented clients by successfully defending them in appeals which challenged trial court decisions favorable to our clients. The attorneys at Renée E. Mura, S.C. are committed to achieving the best results for their clients. Their passion, extensive knowledge of the law and skill in legal brief writing, serves their clients well at the appellate level.